Remembrance of Things Past is one of the monuments of 20th-century literature. Read by the distinguished audiobook narrator Neville Jason, it has been issued by Naxos AudioBooks in its seven separate volumes. Now, each unabridged recording is available in this complete set, which runs to 150 hours. Remembrance of Things Past is a landmark recording and a remarkable achievement. Based on the translations by C. K. Scott Moncrieff and David Whiting. In August 2011, Neville Jason went into a north London recording studio ‘like a monk’s cell, nothing but a script and a microphone’, and began to read. 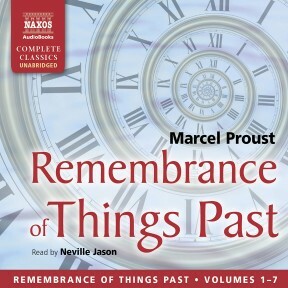 ‘For a long time, I used to go to bed early…’ – the opening 11 words of the 1,266,000 he was to perform to create the first unabridged English recording of Marcel Proust’s Remembrance of Things Past. It took a total of 45 days in the studio to create the 150-hour, 120-CD production of C.K. Scott Moncrieff’s translation of that landmark in French literature – probably the longest audiobook in the world. To give an idea of the scale, the complete Harry Potter series of unabridged audiobooks takes just under 125 hours, on 103 CDs. Proust’s is a title – actually seven separate volumes – that most people have heard of. But few have read it, for the simple reason, says Jason, ‘that it’s very, very long. But a book’s value is not measured by the amount of shelf space it occupies’. The story follows the narrator’s life as he grows up into the adult who takes his place in Parisian high society (the books were written between 1909 and 1922, and published between 1913 and 1927). The historical sweep takes us from the aftermath of the Franco-Prussian war to the reverberations of the First World War. Proust’s style famously tends towards the involuted, with single sentences sometimes running for a whole page. ‘They are immense sentences’, Jason agrees. ‘The key is to know at the beginning where you’re going to end up, while the intervening clauses meander along the way. For me, it’s like music – it has to be phrased within an overall arc’. With a text such as this, there was no way Jason, 78, could have rehearsed every line. Fortunately, he was well versed in the work, having recorded an abridged version, and written and recorded a biography of Proust. Nonetheless, he was nervous about this huge project, and had to be coaxed into it via a recording of War and Peace. ‘That’s only half a million words’, says his producer, Nicolas Soames. Ever since 1955, when he was awarded the Rada prize for diction by John Gielgud, Jason has moved between the popular and the classical with ease, encompassing television (where he made his name as Maigret’s assistant in a long-running series) and stage (as a member of the RSC). He has done James Bond as well as Shakespeare – he was the baddie’s chauffeur in From Russia with Love. And he is still in demand at Doctor Who conventions, where fans celebrate his dual role as Prince Reynart and his avatar in the 1978 story The Androids of Tara. Frequent appearances with the BBC Radio Drama Company honed his ability to express himself through voice alone. But it is his audiobook career that is both unique and impressive. He has recorded dozens of titles, breathing life into Gibbon, Pushkin, Plato, Socrates and Hardy. The writer Candia McWilliam, who relied on audiobooks during a period of blindness a few years ago, listened to Jason’s performance of his Proust abridgement 37 times. ‘Not one of the voices he does for each character is the same as any other’, she says of this ‘stupendous actor and enthusiast. I hope he already has the Légion d’honneur’. 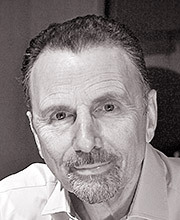 Meanwhile, David Timson, a veteran radio actor and something of an audiobook performer himself (Sherlock Holmes a speciality), says: ‘The fact that Neville has trained and performed as a singer makes his phrasing of Proust’s elegant prose both clear to the understanding and a joy on the ear’. 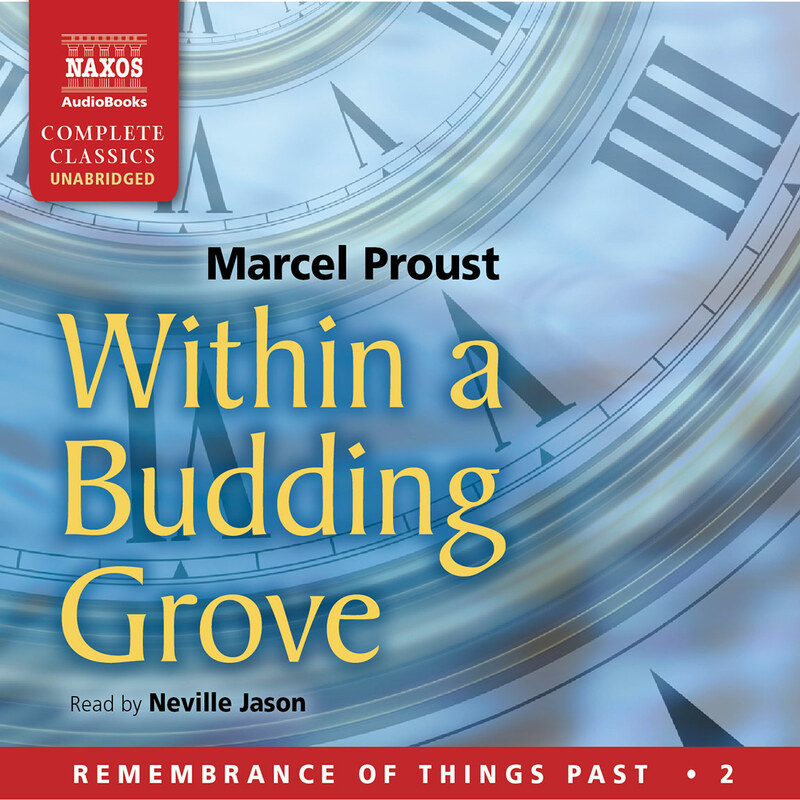 Lovers of Proust, get out your headphones: Naxos AudioBooks, a British division of the classical music label, has recorded all seven volumes of Remembrance of Things Past on CD – 120 discs, which will take 153 hours to get through. The last one comes out on Oct. 29. Nicolas Soames, the publisher, said in an interview that the new version replaces an earlier, abridged edition – just 36 CDs – that the company recorded between 1996 and 2000. He believes the 120-disc edition (also available for download), which will cost £380 (about $600), to be the longest audiobook in existence. It took 45 days of actual recording, spread over about a year, Mr. Soames said, for the reader, Neville Jason, to complete all 3,000 pages. Mr. Jason, 78, is a classically trained actor who not only recorded the book but did the abridgement of the earlier version and also translated the final volume, which Proust’s first English translator, C. K. Scott Moncrieff, left unfinished at his death. 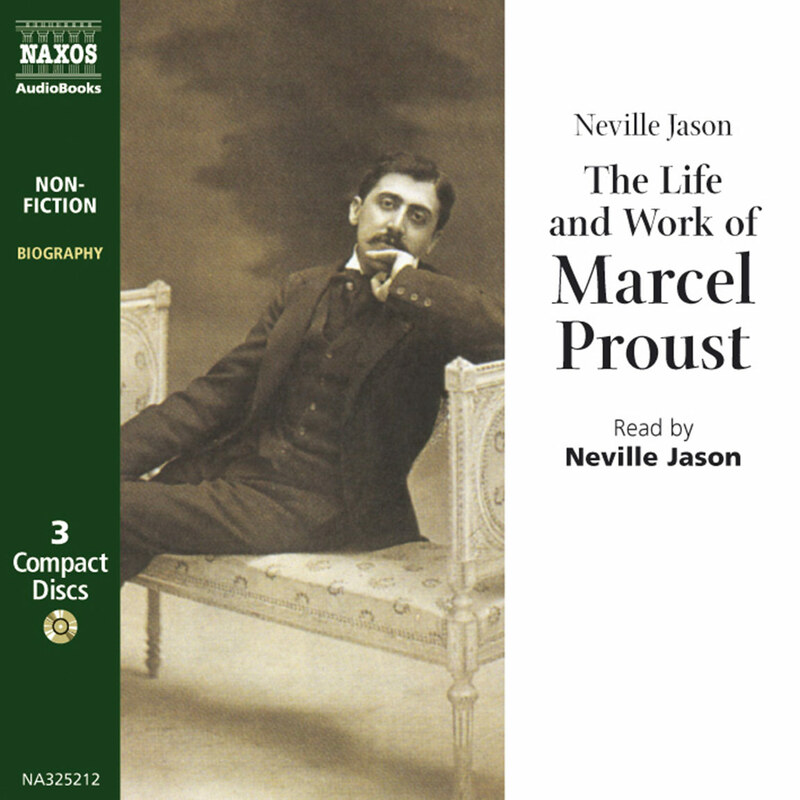 Speaking over the phone with the careful enunciation that once earned the diction prize at the Royal Academy of Dramatic Art, Mr. Jason said this about recording Proust: ‘These things sort of take over in ways you didn’t expect. This second time, it seemed such a massive task that I put it off for years. But once I started, it wasn’t so daunting: it’s just a question of keeping going. As an actor, I approach it like a play. It’s a performance, really – a sort of one-man show’. He added that he had no trouble keeping straight the voices he used for major characters, like the Baron de Charlus. ‘I felt I knew him so well’, Mr. Jason said. ‘But for minor characters – the odd housemaid, the odd count – sometimes one did have to go back and refer’. On 29 October, the final segment of what is believed to be the longest audiobook in the world will be released. Naxos AudioBooks, which Soames runs, has been releasing the unabridged Remembrance of Things Past in seven separate volumes on CD and download since February. As Soames says, with such a huge text – 1,266,000 words in total – there was no way Jason, 78, could have rehearsed every line. Fortunately, he was well versed in the work, having already recorded an abridged version between 1996 and 2001, and written and recorded a biography of Proust for Naxos. Nevertheless, he was nervous about this massive project, and had to be coaxed into it via a recording of War and Peace: ‘That’s only half a million words’, Soames says. 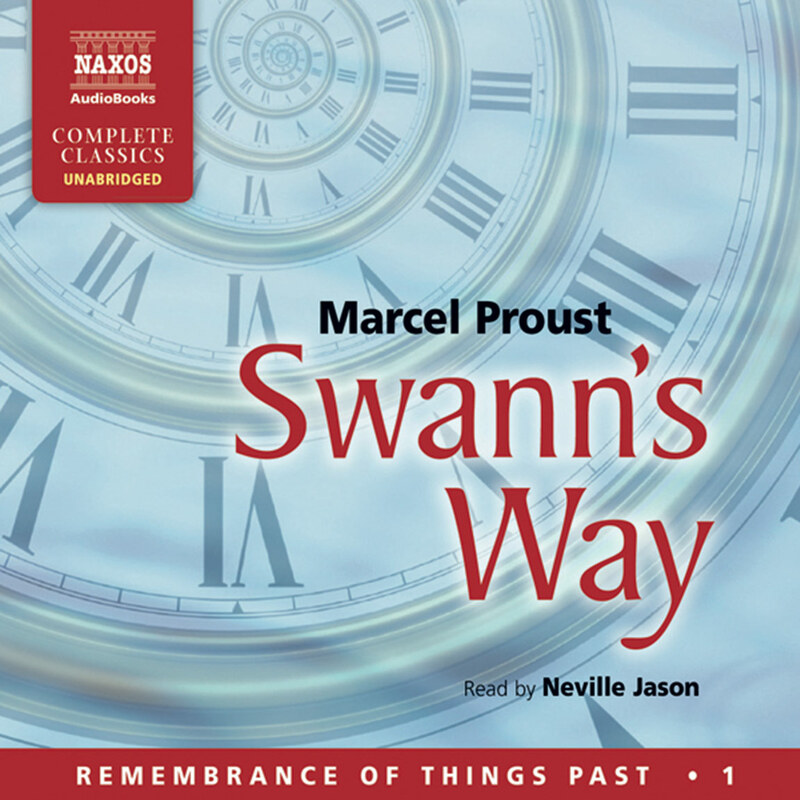 The advances in digital technology also spurred Soames’s determination to record the complete Proust. ‘The arrival of the digital download culture made this project possible’, he says. ‘We wouldn’t have done it without this option, because there is a very limited audience for CDs of this length, basically libraries and a small but faithful Proust following in America. ‘Now, whether they live in Dubai, Kandi or Rio, people who love Proust can download it, that’s what digital downloads have made possible – and that’s why it’s never been done before. ‘Though we expect the majority of sales to come from downloads’, he continues, ‘we feel that there is still life in the CD format for special, collectable, titles like this. Our continuing experience shows that there are many customers out there who want the CD format, who remain unaccustomed to the download format, and especially when changing the listening from home to car. Many of these customers will buy online, of course, but there are also many who would rather go into their favourite shop and order from there than download. As for Proust’s masterwork, it’s a title that most people have heard of. There was even a Monty Python sketch about it. But few have read it, for the simple reason, says Jason, ‘that it’s very, very long. But a book’s value is not measured by the amount of shelf space it occupies. Proust was one of the great literary geniuses, he touches our hearts, stimulates our minds and enriches our lives’. Jason and Soames hope the audio version will bring that experience to a new generation of Proustians. 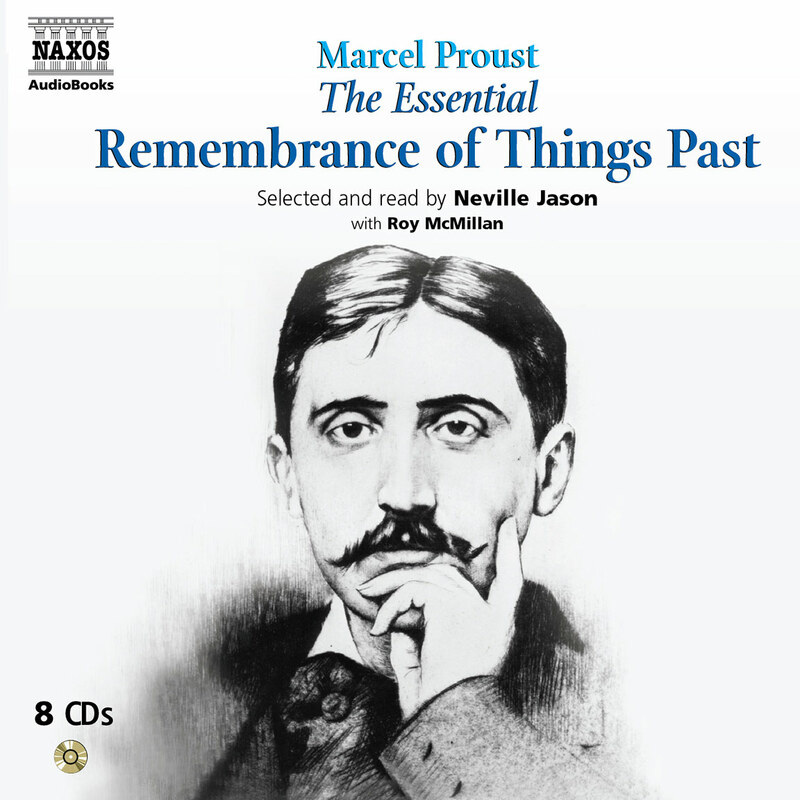 The final volume of Proust’s Remembrance of Things Past, released at the end of last month, is a landmark in audio publishing. The seven volumes – over twice the length of War and Peace – are narrated unabridged by the actor Neville Jason: at a staggering 150 hours, it is the longest audiobook in existence. Between 1991 and 2000 Jason, who was awarded the Diction Prize at RADA by Sir John Gielgud, and appeared on stage with Olivier and Leigh, not only already narrated an abridged Proust for Naxos but actually abridged it himself. He worked with the translations by C.K. Scott Moncrieff, most of which appeared before Proust died in 1922, but Moncrieff never translated the final volume, Time Regained. Undaunted, Jason translated that himself too – which he then abridged. After 10 years, he has now completed the final step, of recording the whole work uncut. Clearly, Jason is special: how could any ordinary mortal consider tackling those 3,000 pages of labyrinthine sentences weaving their sinuous way along 30 or 40 lines? His special skill – and here his training as a singer shows – is to recognise the music of each sentence, and phrase it through to the end. The result is a magical capturing of Proust’s melodious cadences, the syntactical wavelets linking his many clauses, which is so mesmerising and seductive for the listener. Proust’s title A la Recherche de Temps Perdu became Moncrieff’s Remembrance of Things Past, taking the phrase from the memories recalled in ‘sweet silent thought’ by Shakespeare in Sonnet 30, in which he bewails ‘my dear time’s waste’. It was the death of Proust’s adored mother in 1905 which finally allowed him to make up for temps perdu and begin his monumental work. Through his semi-autobiographical narrator Marcel, ‘the careful analyst’, Proust reflects on the changes wrought by the passing of time, and suffers the exquisite anguish of filial and homosexual love. A further achievement of Jason’s is his portrayal of a multitude of male and female characters and their voices as they are shaped by their experiences through the decades up to the first world war. If people know only one thing about Proust, it is the ‘Proustian moment’ when the taste of the little scallop-shaped cakes, ‘les petites madeleines’, recalls to Marcel his Aunt Léonie giving them to him as a child, dipped in her lime-flavoured tea. It has been a memory ‘embedded like an anchor at a great depth’. For Marcel, taste and scent frequently bring to mind moments that have been ‘shut away as if in a thousand sealed vases’, experiences expressed in a web of languid, musical prose which Jason inexorably draws one into. My special pleasure is in the myriad extended analogies and similes – aesthetic and beautifully coloured. The faithful housekeeper Françoise studies the most select and impressive cuts of rump steak, just as Michelangelo spent eight months ‘choosing the most perfect blocks of marble’. And ladies – ‘a glittering catch of fish with their ever-changing iridescence’– drink tea in the gallery. Here is a Christmas present waiting to be relished. 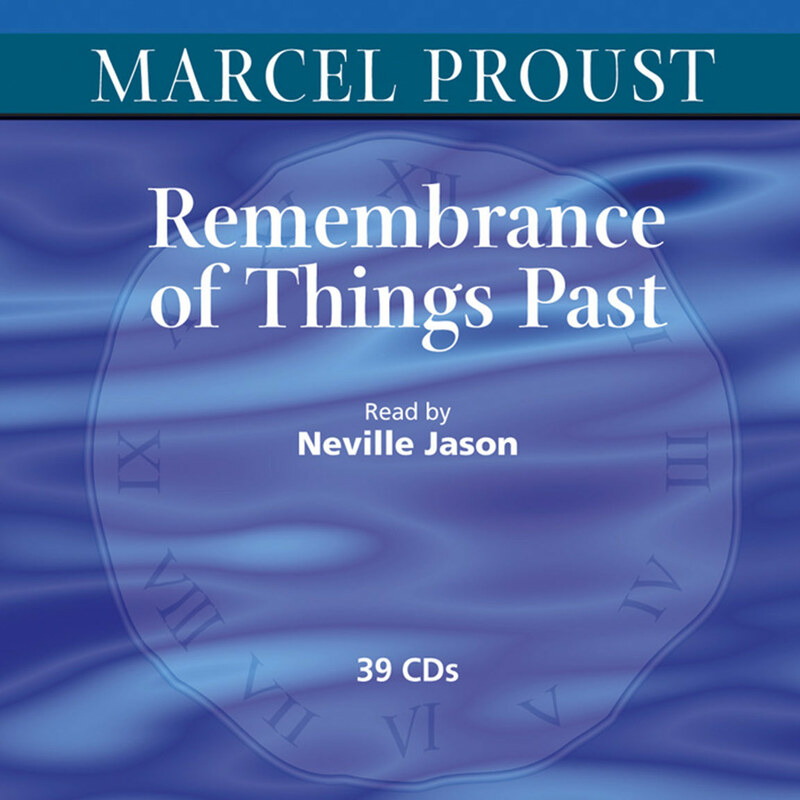 If the world’s longest novel has been too daunting to read until now, then here’s a new way to tackle Marcel Proust’s epic melodrama, Remembrance of Things Past. Naxos AudioBooks, a branch of the classical music label, is releasing new recordings of all seven volumes on CD. The 120-disc set will be 153 hours long and replace an older, abridged version of 36 CDs that Naxos recorded over a decade ago. Neville Jason reads Proust’s prose, and spent 45 days, spread out over a year, to record the 4,000-page book. Jason previously recorded other classics for the company, including War and Peace, Gulliver’s Travels and The Decline and Fall of the Roman Empire. The new recording will be available for download and will cost around $600. Nicolas Soames, the publisher, estimated that Remembrance of Things Past would probably be the longest audiobook in history. Proust’s work was originally translated in English by C. K. Scott Moncrieff in 1922 under the title, Remembrance of Things Past. A second translation by Terence Kilmartin was released in 1981 and re-named In Search of Lost Time, a more literal translation of the French title. Numerous editions and translations have since been published. Jason recorded the earlier CDs and translated the last volume of the book, which Scott Moncrieff was still working on when he died in 1930. For major characters, Jason found it easy keeping track of the voices he used. ‘I felt I knew him so well’, he said. ‘But for minor characters – the odd housemaid, the odd count – sometimes one did have to go back and refer’. Of recording Proust, Jason said: ‘These things sort of take over in ways you didn’t expect. This second time, it seemed such a massive task that I put it off for years. But once I started, it wasn’t so daunting: it’s just a question of keeping going. As an actor, I approach it like a play. It’s a performance, really – a sort of one-man show’. Maybe that will be our inspiration for starting Proust.